Steve Vega is a licensed Real Estate Agent/Broker for over 41 years. As a Colorado native, he is familiar with Colorado and able to perform real estate transactions all across the state. Steve is bilingual in Spanish and English, and involved in many Christian groups that bring people to Christ. Steve has been happily married for almost 43 years, with two children and seven grandchildren. 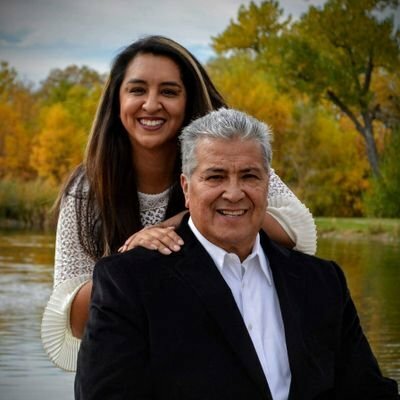 Stephanie Rodriquez, Steve's daughter is a Colorado native that grew up in the industry and is also a licensed realtor. She is happily married and mother of 3! This dynamic father/daughter duo have teamed up to bring you TEAM VEGA. They provide full time service and are willing and ready to help. They specialize in both buying and selling. If you are looking to do either, "We are here to help!!!" Experience does matter and this team can provide you with professionalism and experience. Steve and Stephanie are Team Vega with Re/Max Northwest out of Westminster, Colorado. Together, this team would love to help you find your next home or help you sell your current property. Please contact TEAM VEGA with any further questions or interest.